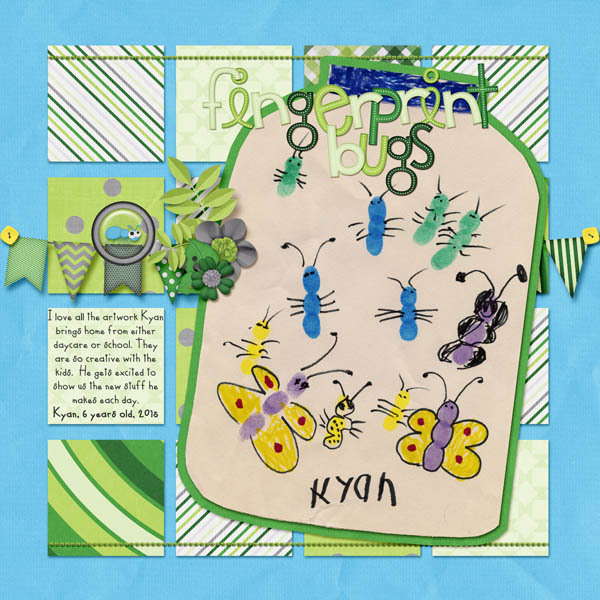 Here's my layout and a freebie for you! Click image below or here to download. Summertime brings everyone to the backyard for a little fun in the sun. What better way is there to spend the day than playing a few games with friends? What A Racket celebrates those pursuits of fun involving rackets: tennis, badminton, lacrosse, wiffle ball, and ping-pong. 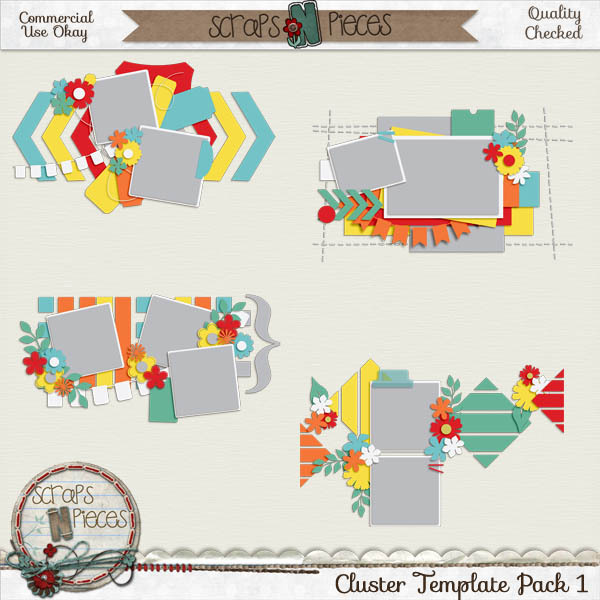 This brightly-colored kit infuses doses of sunshine to your pages, with pops of red, turquoise, and yellow. Featured elements include rackets and balls aplenty, the sun and clouds, roughed-up papers, and a neatly strung alpha you need to see. 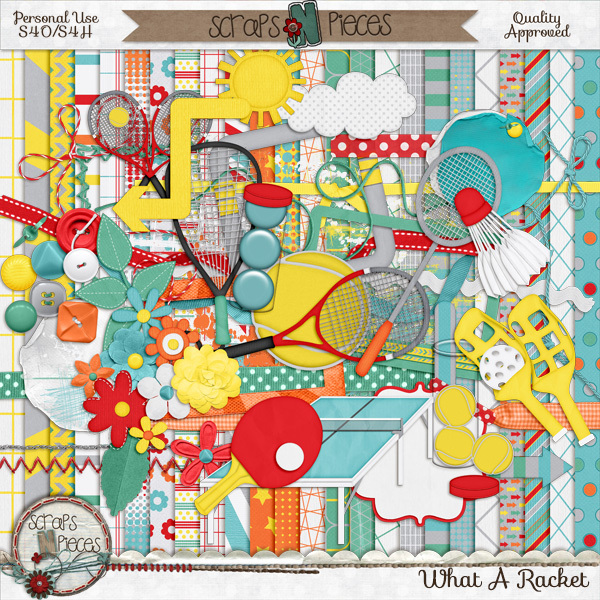 Serve up fun summer pages with What A Racket!